Considering publishing papers as you go, as part of your thesis, or after your thesis is completed? Wanting to publish your thesis now that you've finished? applying for a University of Otago Postgraduate Publishing Bursary (once you have submitted your thesis for examination). This Library guide has strategic tips and links on getting published, setting up your researcher profile and networking, and tracking your impact. University of Otago guidelines for PhD and Professional doctorate students, supervisors and other staff about candidates including their own published material in a graduate research thesis. University of Otago Publishing Bursaries are available to support postgraduate candidates to complete papers arising from their research, during the examination period. A moderated, multi-author blog on scholarly publishing matters, including OA. An online learning module examining why and where to publish, submitting articles, co-authorship, copyright and Open Access. What is the subject area of the journal? Is it aimed at the audience you want to write for? Do you read articles from this journal? Are the editor and the members of the editorial board respected researchers in your field? How does the journal compare to others in its field for quality and impact? How long does it take between an article being accepted and it being published? What are the copyright policies? What are the journal’s ethical profile and aims? Does the publisher belong to the Open Access Scholarly Publishers’ Association (OASPA)? Do the publisher belong to the Committee on Publication Ethics (COPE) or another trade association? Uses a variety of metrics (e.g. total citations, 2- and 5-year Journal Impact Factor, immediacy, cited half -life, Eigenfactor) to rank journals within a subject category. Find SJR (journal rankings) for a wide number of journals. Citation data sourced from Scopus. Free software that analyses GoogleScholar citation data. May be especially useful to researchers with publications in social science journals. More robust than the MyCitations feature in GoogleScholar. This tool enables you to compare up to 10 journals for a range of journal metrics based on Scopus data, including SCImago Journal Rank and Source-Normalized Impact per Paper. 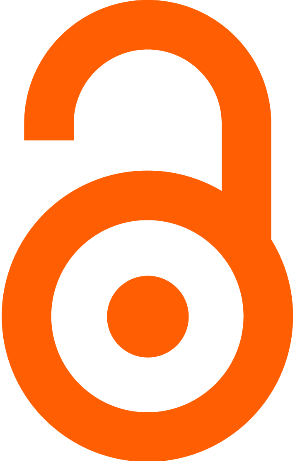 "Open-access (OA) literature is digital, online, free of charge, and free of most copyright and licensing restrictions. What makes it possible is the internet and the consent of the author or copyright-holder" - Peter Suber, A Very Brief Introduction to Open Access. You can choose to make your thesis open access, and you do this by applying a licence to your work before you submit it to OUR Archive, Otago University's Research Archive. You can then choose to make the fulltext of your thesis available via OUR Archive. This is one way of increasing the visibility of your research, as OUR Archive is indexed by Google and Google Scholar. Explores options for communication your thesis findings, including Open Access. Also includes advice about handling rogue publishers like Lambert Academic Press. University of Otago's Institutional Research Repository, which includes our e-theses. Predatory or deceptive publishers seek to take advantage of researchers. Some claim to be Open Access in order to collect payments from prospective authors for journal articles, others may approach you when you submit or deposit your thesis. Check what you should be aware of with publishing offers. Article about rogue publisher, Lambert Academic Publishing (LAP), which offer to 'publish' and sell theses without peer review. Arguments in favour of data sharing include maximising transparency, enabling scrutiny, increasing the impact of research, and reducing the cost of duplication. Research funding agencies, academic institutions, and publishers may require researchers to provide access to data for the wider scientific community.